One of the best experiences of Comic-Con, as an attendee, is to dress up in cosplay and walk the floor. For a lot of people, the hard work and dedication that goes into creating your costume pays off as you walk through the main floor and find yourself stopping several times to take photos with people. 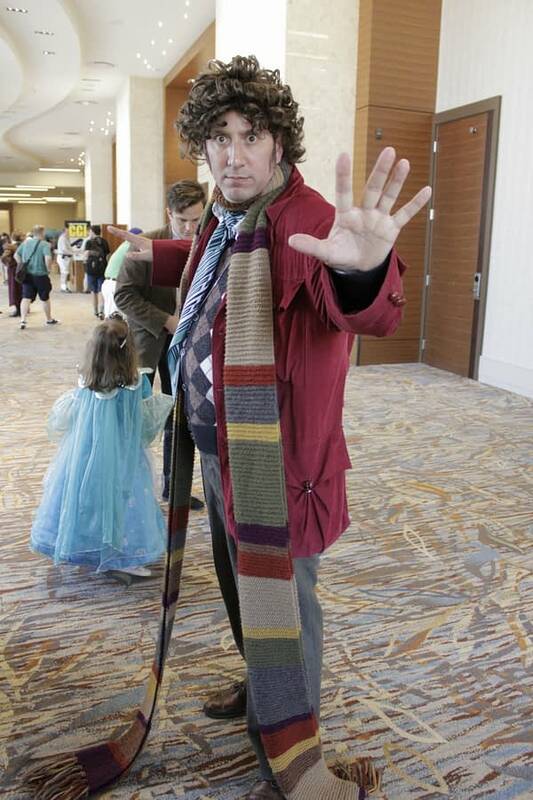 Andrew Elkins is a Dr. Who cosplayer of 5 years. His main cosplay is The Fourth Doctor (and rightfully so because he looks just like him) but on occasion, he’ll jump into other characters like Dumbledore from Harry Potter. 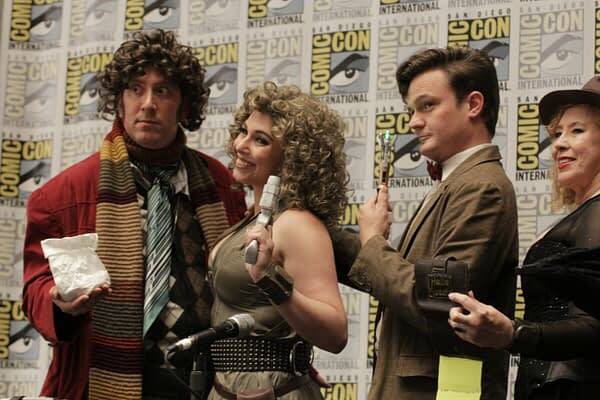 The Dr. Who cosplay community is very tight nit. For some like Patricia Miller, it’s hard to not be the character you love. 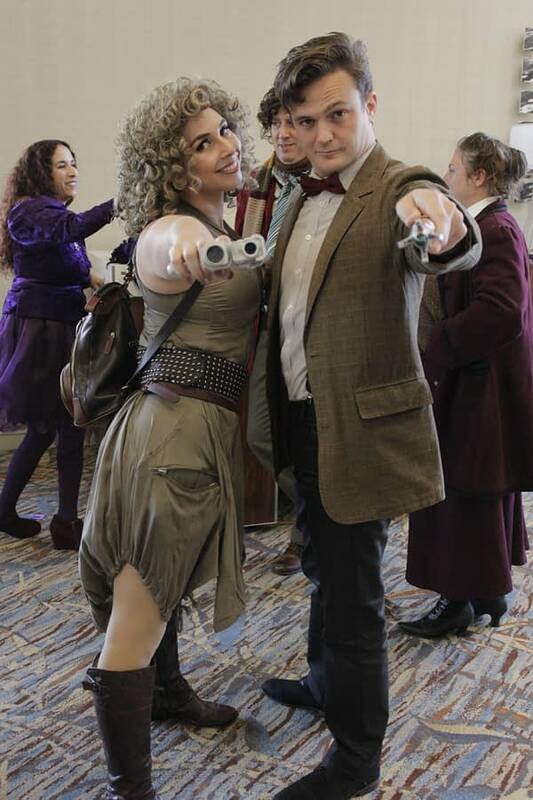 With every piece of clothing she buys for her Dr. River Song cosplay, a piece of normal clothes gets thrown out. “Cosplay changes your experience at a convention,” explains Neil Williams. “This is especially true for Dr. Who fans. It has a long rich history and there’s a doctor for everyone.” Personally, I chose to cosplay as Spider-Man for a second year in a row. I feel like I connect with Peter Parker quite a bit so it’s second nature to cosplay as a character you can connect with. “My cosplay character and I have a similar personality,” says Miller. “The show has a lot to say.” Through cosplay, fans are able to speak for the show that they love. Williams and his best friend, Sara Katz-Scher, feel that being a duo of Dr. Who cosplayers adds great twist. They interact with each other and fans to help tell a story as opposed to walking around for the fun of it. Becoming a Dr. Who character isn’t entirely too hard, if you’re smart about it. Ebay is your friend! Just because part of your costume isn’t screen accurate does not mean that your costume as a whole is discredited. If Ebay doesn’t fit your budget, check into some local vintage shops. If something is close, make your own alterations and have fun with it. Also, there are a lot of people who have done the hard stuff for you. Make connections and ask around and odds are, somebody can help you pull of an unforgettable cosplay.